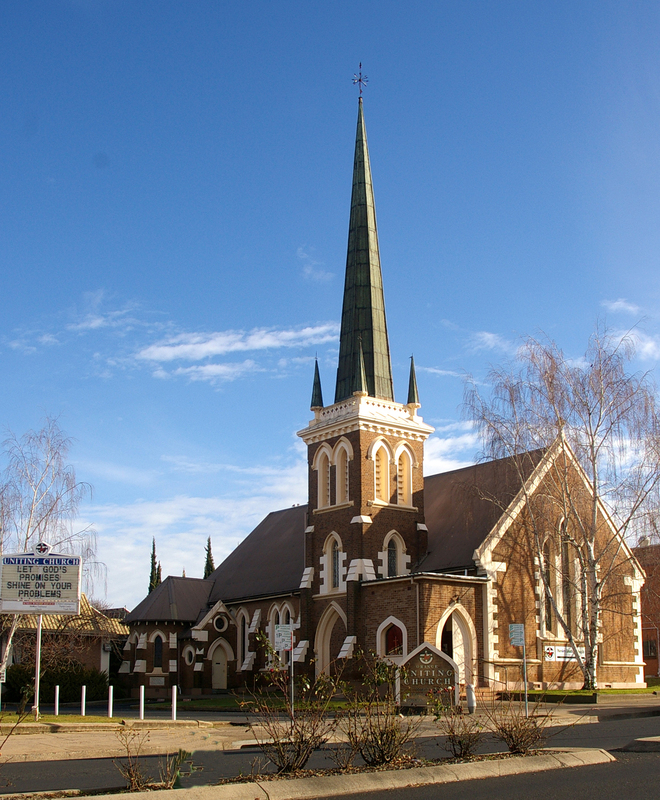 Orange Uniting Church is right in the centre of Orange and gathers as a group of people of all ages at 9:30 am every Sunday. Children are catered for through a more child friendly start to the service followed by Sunday School for ages 0-12 at 9:40 am. There is a children’s play area for younger children to keep them entertained throughout the service if their parents would rather keep them in the church for the whole time. Worship is varied with the use of organ, piano and guitar. 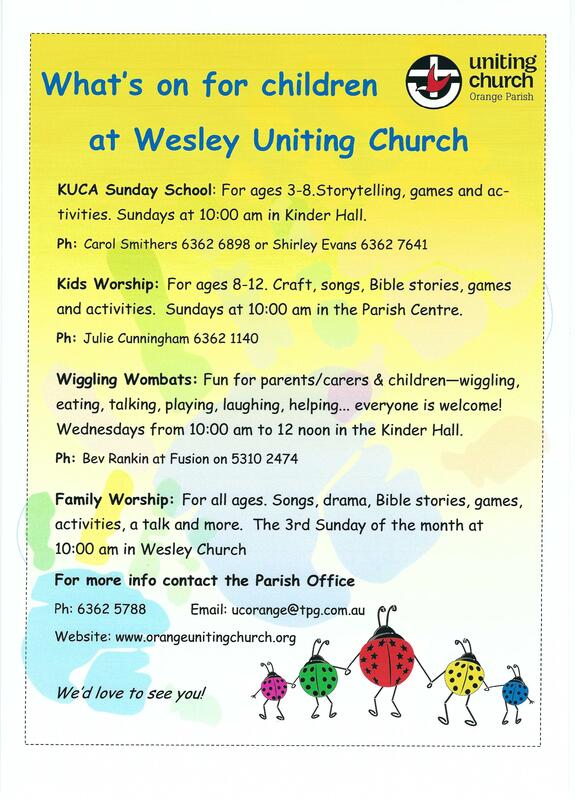 On the third Sunday of each month we have a family service with all ages taking part. Please come along and meet us and stay for morning tea after the service.